You’ve made 576 films. How is that possible? I’ve been working since I was 16. I’m 42 now. If you dissect a film, we shoot scenes about three hours a day so I started working in hours. I could give three hours to three films each day. Sometimes two hours a day to four films. In 2004, we released 45 films. There was a boom then and everyone wanted to work really hard. 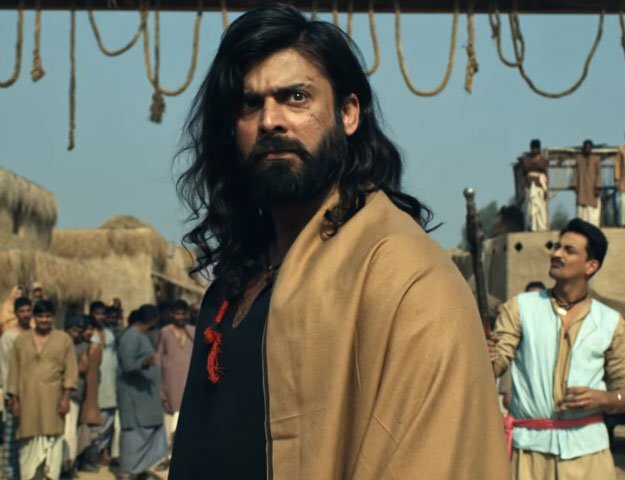 Where is Pakistani filmmaking headed? Pakistani filmmakers are struggling because they don’t have any support from our leaders. There are no banks nor companies that support us. We’ve been doing films and entertaining people on our own for the past 50 years. And that needs to change. They tell their kids to be doctors, not filmmakers. If we don’t have international support, we won’t have the budget to make films. What can Pakistani films bring to the global world of filmmaking? We can do for the world’s filmmakers what China is doing for America. We can cut your cost. I think Pakistan is the richest country as far as scripts are concerned. Every filmmaker needs a script. Every blockbuster is a Marvel film. That means you don’t have a script. You have comic books that you’re making films out of. We have got numerous Titanics in Pakistan. What about all the mothers in Pakistan who gave out their sons to the wrong cause? Isn’t that a script? Those stories need to be told. After 20 years of war in ­Pakistan, we have so much to say. Bring your cameras. Bring your filmmakers and start shooting in Pakistan. If Hollywood or Bollywood came calling and asked you to play a villain, would you do it? I refused India once. When I read the role, I knew that they needed a new terrorist face and I said no. In Pakistan, I live in people’s hearts. That’s a huge responsibility. I cannot let them down. I can’t do that to people who love me. We don’t need a villain. We can all be heroes. Our speech is our films. That’s our tool. Why are you in films and not politics? I’ve had offers from every political party, but I don’t want to work for the government. They all think I want to run for president. I don’t. But I do have a dream. For the people of Pakistan to be respected. This is my reason for coming [to the expo]. I could have brought my films and my scripts, but I didn’t. I brought my voice. Films change ideologies. Bullets don’t. Bullets just kill.